One of the advantages of an IUL is typically your premiums are paid with aftertax dollars. By accessing value in the policy thru loans and finally a tax-free death benefit, you never pay taxes on any of the gains in value. I’m going to pause for a second then repeat that: If you access the money while alive as policy loans you never pay taxes on any of the gains in value! Your beneficiaries don’t either! Imagine for a second you are a farmer and you were offered a choice between being taxed on the cost of your seeds or the value of your harvest? This isn’t a trick question. Many people can see how paying now might end up being a much better deal. Now of course if you think marginal income tax rates are going to go down in the future you might want to postpone paying taxes. 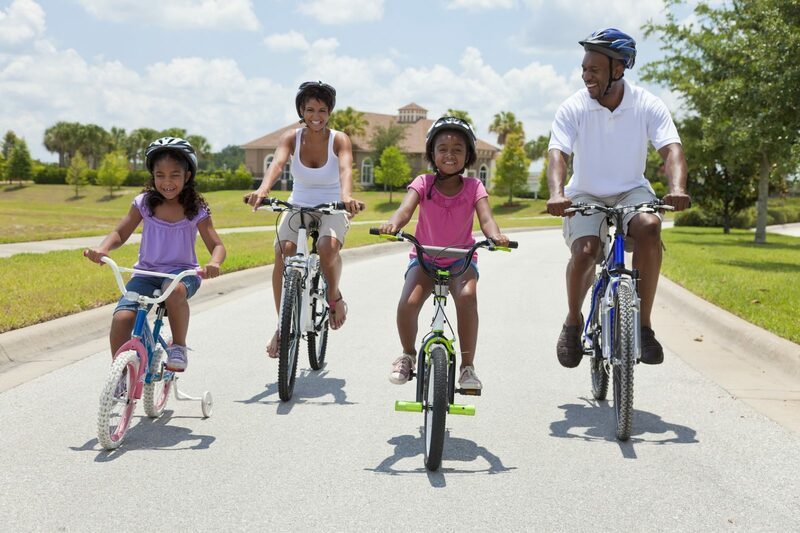 A Black African American family of two parents and two children, two girls, cycling together. If you save on a before tax basis (Traditional IRA, 401K) you don’t pay any taxes on that income now. However all of the income received (the harvest) is taxed at your marginal (highest) ordinary income rate. With a tax free strategy like a Roth IRA or a cash value life insurance policy, your premiums or contributions are paid with after tax dollars (taxed on the seed) and as a result any gains or accumulation can be accessed without paying taxes again (subject to being properly structured). Free Money – Money you just get. Short of gifts or inheritance the only place you typically see this is in the form of an employer match in a qualified retirement plan like a 401k. The return free money cannot be beat. Contributing beyond a match in such a plan is no longer free money. Tax Free Money —Roth IRA, Permanent Life Insurance. Short of Free Money, It doesn’t get much better than Tax Free. A Roth IRA makes sense for many people. Unfortunately the amount you can contributed each year is capped (currently $5000/yr. under age 50, $6000/yr 50+) and many people can’t contribute at all because they make too much money. There are no income caps on taking out a Universal Life Policy and many people would like to contribute more than the $5000 a Roth IRA permits. Tax Deferred Money – Traditional IRA, Qualified Retirement Plan like a 401k (above the match). Pay taxes later on both contributions and gains at future tax rates, whatever they are. At least it is deferred and gains can grow without being taxed until later. Some restrictions/penalties for early withdrawals prior to age 59 ½. Taxable Money – CDs, Stocks, Mutual Funds. Pay with after-tax dollars (taxed on the seed) and get taxed on the gains or income (taxed on the harvest). Compared to Taxable Money, you can see why some people get excited about Tax Deferred Money…but they often forget about or are unaware of Tax Free Money!